Our Vision is simple – Be the most efficient department in our partner’s business. There is a lot of talk about Vision Statements and Mission Statements – we decided to post just our Vision Statement, since our Mission changes from time to time, but our vision remains the same. You know, until we change it! 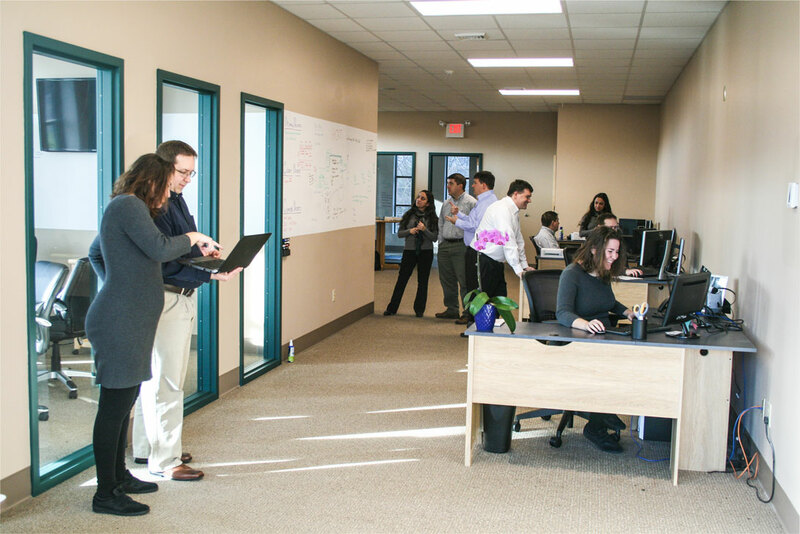 Now IT Works provides IT support bundles and managed IT services to Connecticut businesses. With rapidly changing computer and network technology, challenges inevitably occur in your business. When they do, Now IT Works delivers responsive and personable IT support services. From our live dispatcher to our knowledgeable computer and network team, Now IT Works puts your business first. And, our fixed fees and response guarantees take the stress out of potentially stressful IT situations. You understand technology is an essential part of your business operations. The right solution can propel your business forward, while the wrong or misconfigured solution can hinder your success. To help you benefit from the right technology, we have developed a proven method to delivering successful IT solutions. We offer 2 great products – Blue Steel and Level 1. Each program includes an app to help manage the security, backup and maintenance of your devices AND an educational component to help make your team more better (ok, it helps to make them more proficient with the technology in the office as well). We include 1-click installations. Within our app, you can immediately install (or upgrade) commonly used utilities, such as Adobe Reader, Java, Flash, CutePDF. As well as apps used for some of our premier services, Vonage, Streamline, Mesh and SaveIT. Our team works from a process. If you’ve never read The E-Myth by Michael Gerber, it’s a must read for any business owner – my take away from that book is the basis for our Streamline app. Create a process for everything that happens here – both internal and partner-facing; and you will always get the desired result. When you dial – someone will pick up. There is no automated menu to go through, just dial and you’ll get someone on our team. This is a simple pleasure when dealing with customer service companies – we don’t want you to have to wait to decide which department you need. When it comes to customer service, nobody comes close to Now IT Works. No other solutions provider can match our super quick response times, extraordinary customer support, 24/7 proactive piece of mind, or our ability to deliver innovative technology solutions that work exactly how you expect them to. We are always looking to bring our partners a great deal of value – from our services, technology or partner-only events. Of course, we understand that at the end of the day – it comes down to one thing: Reduce IT Problems. One of the many ways we are doing this is to configure our technology to give you a short-list of ways to resolve IT problems as quickly as possible – this is called LiveConnect and is available with all Blue Steel Support Agreements.